Skye Gravestones | Marion (Mackinnon) Calder. Sacred/to the memory of/MARION daughter of/the Revd DONALD MACKINNON/and wife of/DONALD CALDER/she died in 1826. Picture Added on 11 April 2014. Added by Meryl Smith on 09 April 2016. Looks like a 6 to me Meryl. Added by Roddie Macpherson on 09 April 2016. 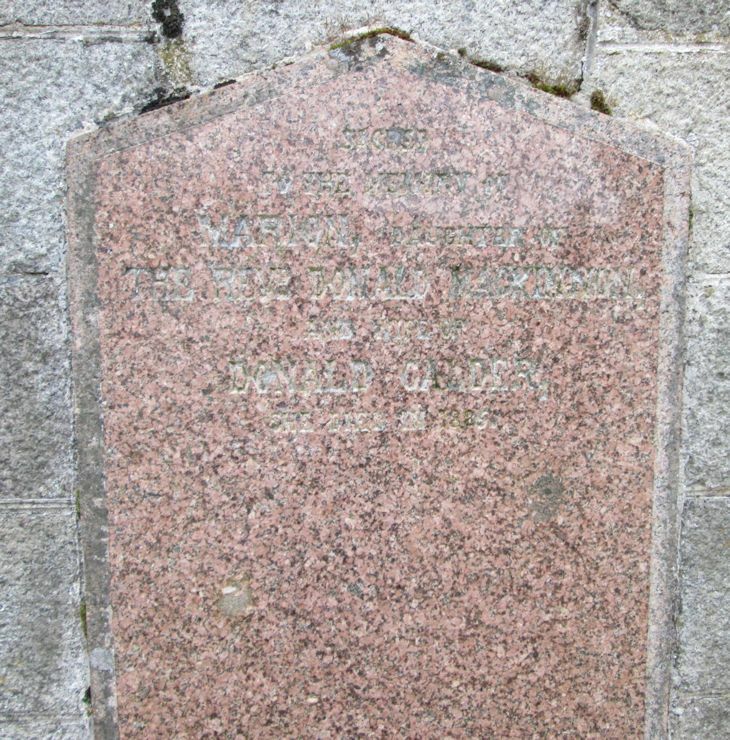 I only ask as Marion and Donald Calder had a son Donald born 14 and baptised 24 Feb 1828 at Strath. Thought she may have died following child birth. You could well be right Meryl. Stone inscriptions are not always 100% accurate. Added by Roddie Macpherson on 10 April 2016.